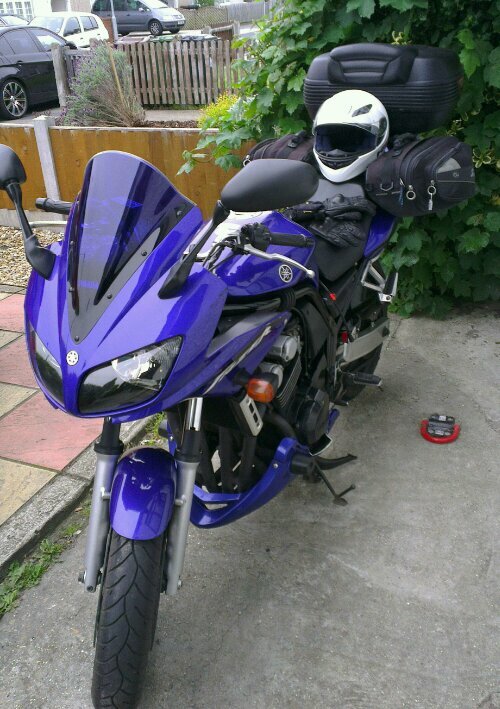 Bike cleaned, serviced and laden with luggage, ready for my trip up North this afternoon. Spending a few days in Shrewsbury, Shropshire with family. I’d rather travel light, however I have a funeral to attend so need to pack a suit and shoes. My plan is to avoid the usual motorways (M25, M1, M6, M54), as although quicker will get very monotonous and tiresome very quickly. I am going to take a more cross country route on A roads, with some interesting scenery and bends. The route is roughly A41, A44, A458 and will take me across the top of the Cotswalds and through the Vale of Evesham.